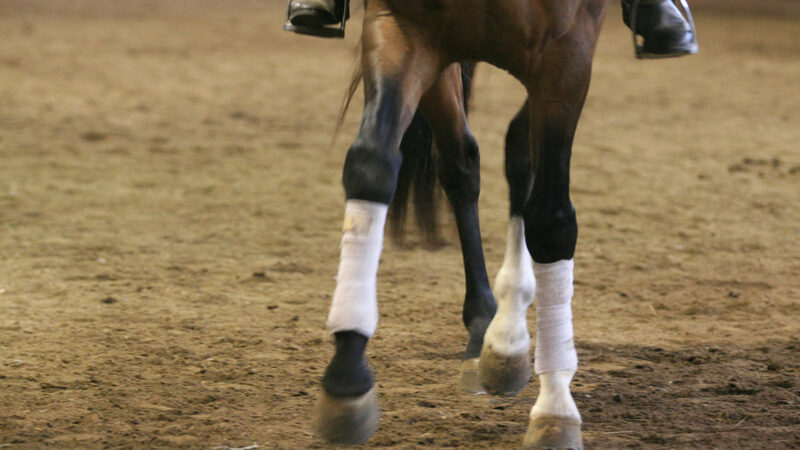 Equine Affaire will be held at the Ohio Expo Center in Columbus, Ohio, April 11 through April 14, 2013! Equine Affaire is legendary for its “horse-centric” educational programs, with clinics, seminars, and demonstrations that highlight a wide variety of equestrian sports, as well as offering instruction in horse training, management, and riding technique. Over the years Equine Affaire’s rosters of presenters have included Olympians; World and National Champion riders; popular equestrian TV personalities; course designers; judges; veterinarians; professors; and of course, MANY TSB authors, who come from all manner of backgrounds and areas of specialty, and countries all over the world. 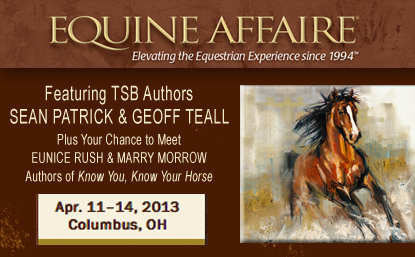 Visit Sean Patrick, author of THE MODERN HORSEMAN’S COUNTDOWN TO BROKE, at the 2013 EA Ohio. After and between his clinics and presentations, Sean invites you back to his booth #1004 in the Bricker Building, to say “hello,” ask questions, purchase books or DVDs, and get them signed. 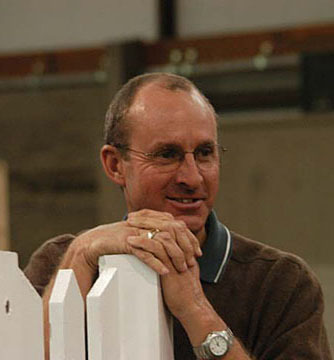 TSB author Geoff Teall will give hunter/jumper/equitation clinics at EA Ohio. 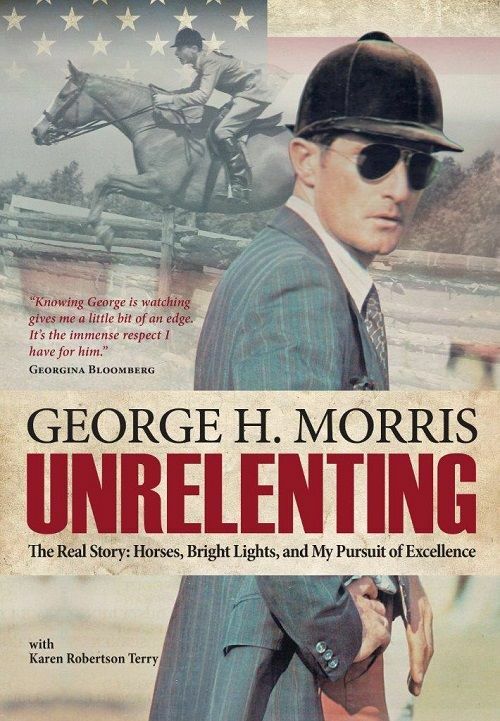 In addition, the authors of the hit book KNOW YOU, KNOW YOUR HORSE Eunice Rush and Marry Morrow will be at the Midwest Trail Ride and Outpost Store booth #1214 in the Bricker Building to talk to you about your personality and your horse’s…as well as how to find the “perfect equine match” and then train your horse as best suits his personality. 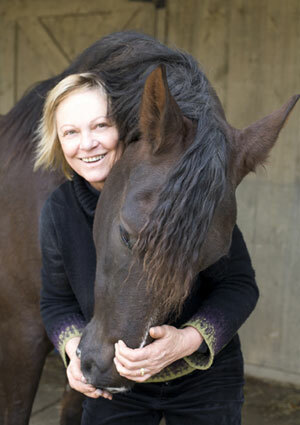 Eunice Rush (left) and Marry Morrow (right), authors of KNOW YOU, KNOW YOUR HORSE. 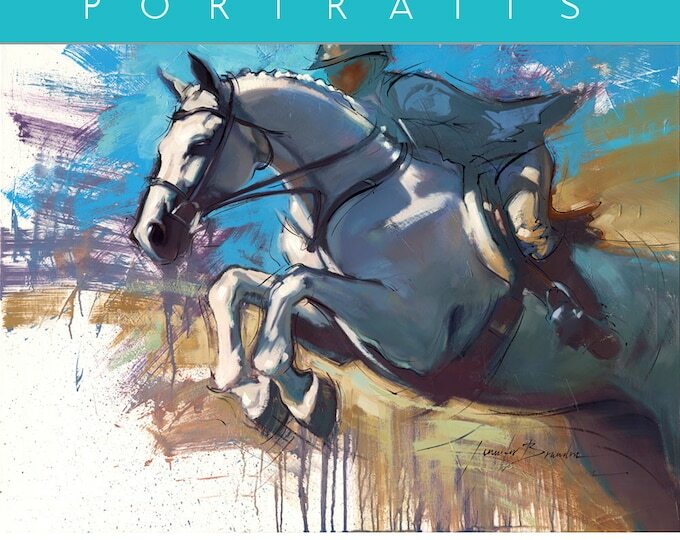 CLICK IMAGE to see more of Equine Affaire featured artist Jennifer Brandon’s work! Do you like the 2013 Equine Affaire artwork? We love it, and are exceptionally proud that his year’s featured artist is Jennifer Brandon, a wonderful and talented animal portrait artist and designer who created the cover art for the new young reader fiction books CROWN PRINCE and CROWN PRINCE CHALLENGED. Be sure to check out more of her work online at jachestudio.com. Don’t miss the April issue of Horse&Rider magazine, available now wherever quality equestrian magazines are sold! 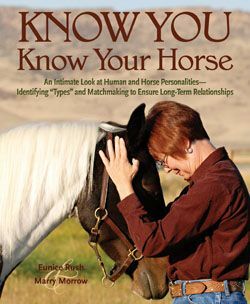 Inside you’ll find a featured excerpt from the new TSB book KNOW YOU, KNOW YOUR HORSE by Eunice Rush and Marry Morrow. 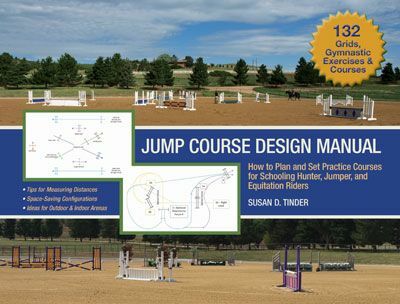 Eunice and Marry share some of their tips for determining a horse’s character type and how that can impact the training techniques you choose when working with him. But wait, that’s not all Eunice and Marry have to offer. 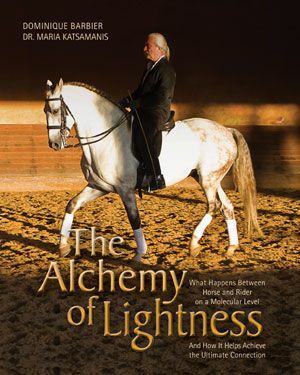 Their book KNOW YOU, KNOW YOUR HORSE is organized into two distinct sections: one that focuses on the human, and one that focuses on the horse. That’s because they believe it is important to know who you really are (ie, “know thyself”) in order to find a match made in heaven (aka “the perfect horse”), or to simply ride and train the one you have in a way that will help him live and work with you in a happy, healthy way. But as is, I’m sure, very apparent, getting in touch with your own characteristics and tendencies is only half the equation. You need a practical system that allows you to determine a horse’s personality in a relatively short amount of time, and certainly before you walk down the barn aisle together, into an unknown future! 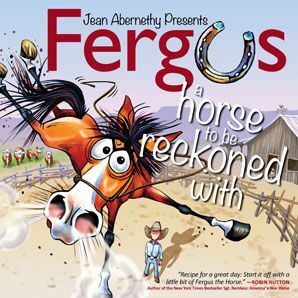 Ready to meet your horsey soul mate…or at the very least learn how to meet your horse, whoever he is, on even terms and solid footing? Start by downloading and taking the FREE HUMAN SOCIAL STYLE QUESTIONNAIRE and HORSE PERSONALITY QUESTIONNAIRE from the TSB website (CLICK HERE TO DOWNLOAD). And don’t forget to learn more about Eunice and Marry’s ideas for horse-human matchmaking in the April issue of Horse&Rider magazine! 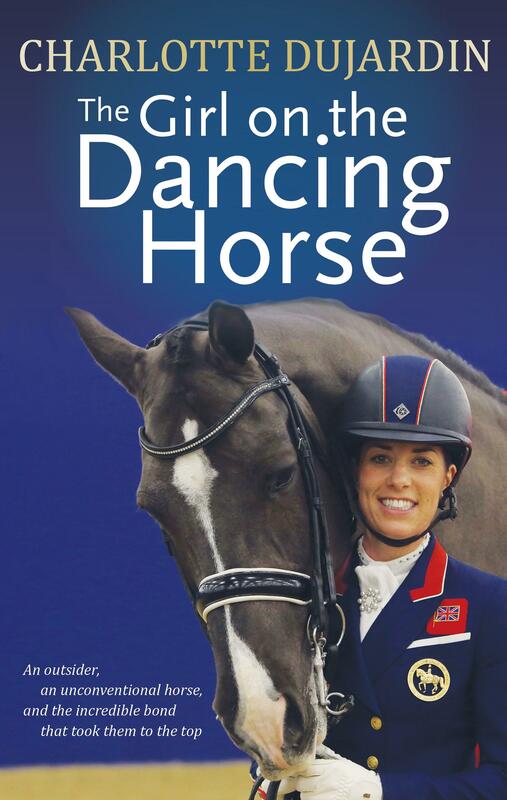 KNOW YOU, KNOW YOUR HORSE is available to order from the TSB online bookstore. Those of you who, like us, reside in the Northeast are waking up to snow this cold Friday morning, with blizzard warnings in the forecast and a weekend ahead that promises shoveling, perhaps skiing, but maybe not SO much riding! Sit in your favorite chair and look around, becoming aware of your face, especially the area surrounding your eyes. Do you feel pulling or tightness around your eyes? Do you narrow your eyes to focus on specific objects? Are your eyebrows knit together? Close your eyes and use your eyelids to “press” your eyeballs back. Open your eyes and stare intently straight ahead. What happens to your balance in the chair? Usually people notice that “pressing” back with the eyelids shifts their weight backward, while staring ahead shifts it forward. Excessive tension in the muscles that move your eyes and the surrounding facial muscles, such as you would notice in the first steps of this exercise, creates tension in your entire body. And the smallest balance shift forward or back in the saddle is sensed by your horse, who then shifts his own weight to compensate. In your chair, practice “softening” the area around your eyes so your eyebrows broaden, your cheeks soften and drop down, and you feel the corners of your eyes relax. With your eyes open, recreate the feeling of your eyes resting back in their sockets (as they were when you “pressed” them back with your eyelids). With this simple change in how you look at the world while sitting in the saddle, you can ease tension in your horse and shift his weight off his forehand and back toward his hindquarters. 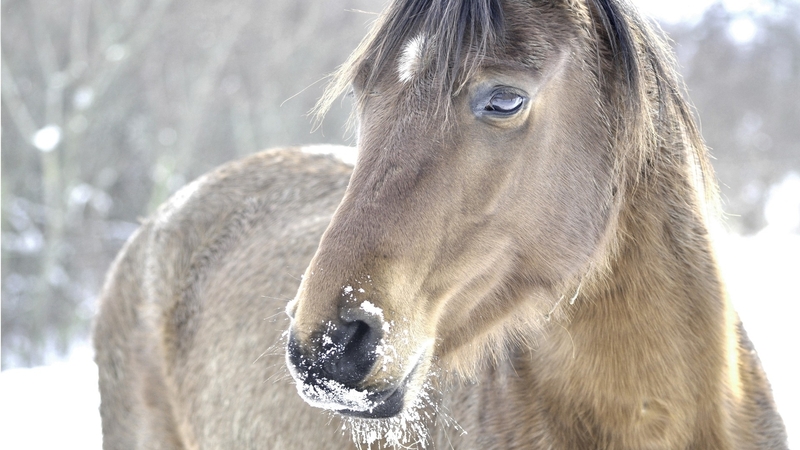 Download the Human Social Style Questionnaire and the Horse Personality Questionnaire from the KNOW YOU, KNOW YOUR HORSE page on the TSB website (CLICK HERE). Take the two quizzes to determine if you are an Analyst, a Powerful, a Mediator, or an Advocate; and to see if your horse is a Thinker, Worker, Actor, or Talker. This can be the first step in determining what you need to do to change your personality to better match your horse’s, as well as giving you ideas as to the kinds of training techniques and riding styles that will help him learn and perform his best. What kind of match are you? Take the quizzes to find out! Popular psychology author Tony Buzan wrote his first books on “Mind Mapping” in the late 1960s and early 1970s. His books, lecture tours, and now software (www.iMindMap.com) have popularized his technique of diagramming words, ideas, tasks, and other items around central key words or ideas, providing a graphical method of generating, visualizing, and classifying ideas. It is a way of using both the left and right brains when organizing and studying information–and a great way to get a better understanding of the concept of the Classical Training Scale and how you can apply it in your work with your horse, both on the ground and in the saddle. Choose a central word or idea from which all other words and ideas will radiate. Tony Buzan recommends keeping this to a single word, as that gives you more room to “play.” You can use “training” and “scale” together as one “idea” or perhaps begin with your name, or your horse’s. Use color and an image to illustrate this idea. What do you picture when you hear the central word or words spoken? For “Training Scale,” perhaps you think of a golden pyramid, such as the ones in Egypt. For your horse, maybe it is the symetrical white diamond on his forehead. Radiate outward with the principles of the Training Scale: Rhythm, Suppleness, Contact, Impulsion, Straightness, and Collection, and give each an image (what comes to mind when you think of Rhythm? Musical notes?) and a color. you and your horse “find” what you’re looking for. Scribble down anything that comes to mind—cavalletti for Rhythm? Carrot stretches for Suppleness? Illustrate whatever comes to mind and allow yourself to get excited about new ideas you can try to implement when the snow melts! 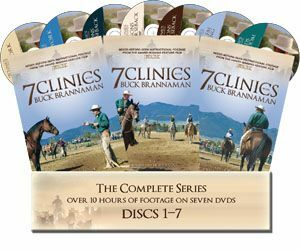 Visit the 7 CLINICS YouTube Channel (CLICK HERE) and watch all the short, free lessons from the new DVD series 7 CLINICS WITH BUCK BRANNAMAN. We can all learn so much from Buck, even in three or four minutes! You’ll come away with new ideas of how to better communicate with your horse and take your partnership to the next level. 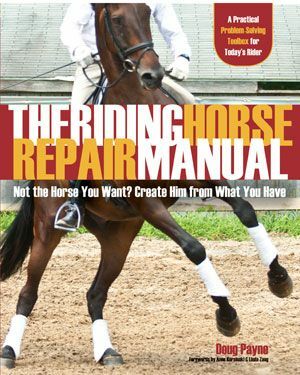 At TSB, we love great horse books, whether they’re instructional or fiction, classic works or brand new. As the snow piles up and you hunker down at home, pull something great off your bookshelf and lose yourself in it for an hour or two. Race across the sand with Alec and the Black, feel your pulse quicken as you turn the pages of Thunderhead, rediscover what it means to connect with a horse in Alois Podhajsky’s My Horses, My Teachers. Wherever the magic is for you, find it. Even just for a little while. All these books and DVDs are available from the TSB online store, open 24 hours a day, 7 days a week, whatever the weather! 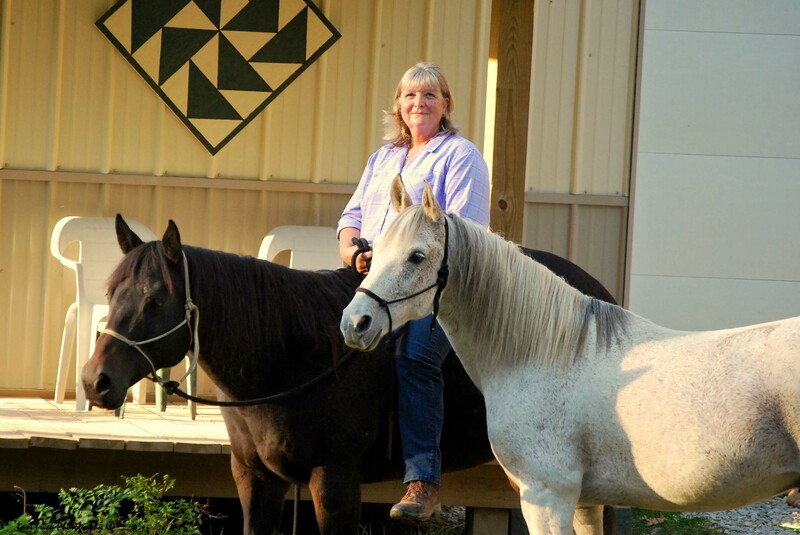 Carla from Florida sent Eunice Rush and Marry Morrow, authors of the just-released KNOW YOU, KNOW YOUR HORSE, this amazing review of their book—check it out! “I read…and thoroughly enjoyed every page of your book. I feel so much more savvy after learning about my personality, combined with my three horses. I have already used what I learned, and I am sincerely grateful. “I would have never imagined that I would be a POWERFUL! I was shocked. I always think of myself as being kind of wimpy. I now understand why Moonie and I had such a rough start. Moonie is a THINKER…thus my broken wrist, ribs and front teeth. LOL! After five years of trial and error…we ‘get’each other…and we know how to work together. I love my old girl and she is bombproof. She is my ‘easy keeper’ and I trust her. “My little Paint, Hearts, has been a lot of work for me. Now, I know why! Hearts is a TALKER. I have spent countless hours trying to get her to collect and stand still. The girl needs to move. We had our best ride ever today. She may never be the right horse for me…but, as long as she is with me, I will be a better rider and owner. I now ‘get’ her. “And now, I have Frank Sinatra. I fell in love with this horse at the barn. He is a three-year-old cremello Quarter Horse. His former owner quit paying board. I got Frank by paying the back board. I had neer been on him…but, I had a feeling. I spent a week in the arena with him. He was cooperative, but I could tell he wasn’t crazy about arena work. 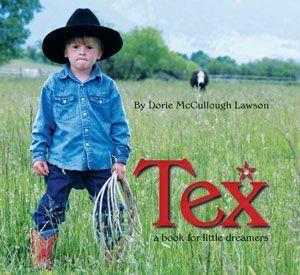 I would walk him around the ranch just to build our bond. He did whatever I asked…and I taught him to side-pass in 15 minutes. I knew this would be a good horse for me. “After only two rides on this guy…I can say that I have found my perfect match! POWERFUL/WORKER…go figure! Now that I know what I have…and I understand who I am…working with my horses is so much more enjoyable. “This morning I had arranged to ride with a friend from work. He had been on horses, but it had been a few years. I rode Hearts, the Talker…and I put my friend on Frank, the Worker. Perfect ride, thanks to your book! We kept their feet moving at a brisk walk and had a great day. Hearts and Frank make a great trail duo and I look forward to getting them out together soon. I would have never been able to manage these differing horses prior to your book. “Although all three of my horses are pussycats, they all operate differently. A Thinker, a Talker, and a Worker. I feel so empowered by your book. Thank you so very much for sharing your knowledge. Happy Trails to me! Are YOU ready to “know” what Carla now knows? 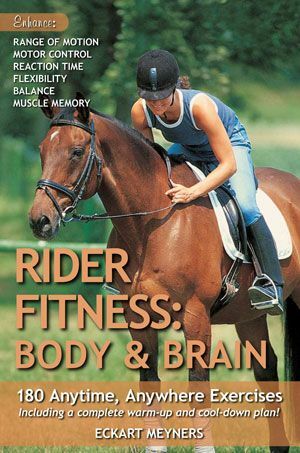 KNOW YOU, KNOW YOUR HORSE is available from the TSB online bookstore. 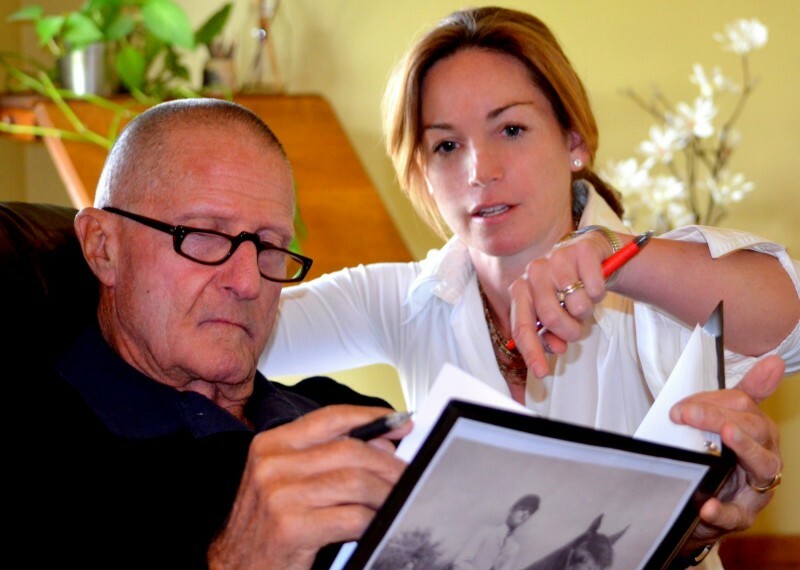 Last week we talked to Eunice Rush and Marry Morrow about their brand new book KNOW YOU, KNOW YOUR HORSE, what inspired them to write the book together, and what they hope readers can take away from its pages. KNOW YOU, KNOW YOUR HORSE, the new must-have book on human and horse personality, is available now from the TSB online bookstore (CLICK HERE TO ORDER). TSB: How long have you two known each other and combined forces in terms of aligning horse and human personalities? ER: We have known each other for about six or seven years. I met Marry when I attended one of her clinics. We have been working on the concept of combining personalities for about three years now. It has been an exciting and educational process—and we are thrilled to see our book in print! 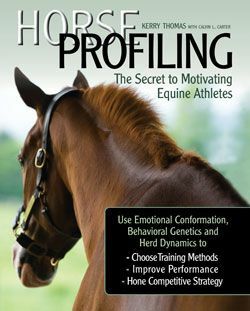 TSB: KNOW YOU, KNOW YOUR HORSE is such an interesting book with information that can apply not only to any horse person, and any riding discipline, but also to other areas of your life. 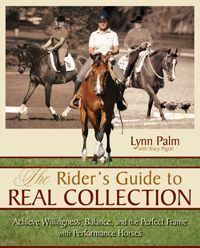 How did you write the book together and determine what kind of information on human and horse personality should be included? ER: I have worked with human personalities and how to use the information to improve personal relationships in the work place to improve sales and enhance team performance for over 20 years. 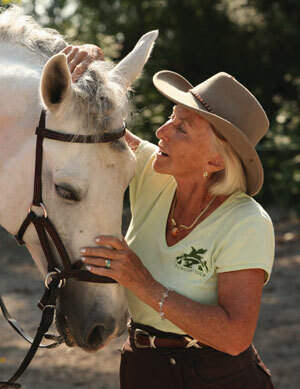 Likewise, Marry has used her knowledge of horse personalities to enhance her training methods for over 20 years. Once we decided there might be a connection, we first researched to see if anyone else had used the same approach, and finding nothing, we started our research to confirm our theory. Once we felt we had done so, we felt the information could help everyone that dealt with horses. It became a passion to make the information available. Writing the book was an adventure in itself. We started by determining the parts of the human personality that had components similar to the horse. That gave us the template. Marry put together her parts and I put together mine. 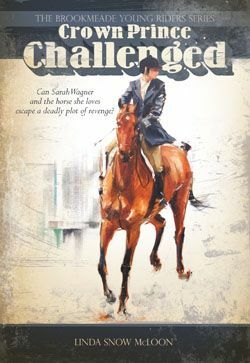 Then to keep the writing style consistent, I wrote the book but worked closely with Marry every step of the way on the horse side to make sure the information was accurate. Finally, Caroline Robbins, the publisher at Trafalgar Square Books and our editor, helped us both smooth it all out, take out what we didn’t need, and clarify what we had. The writing process was a real challenge because I am a “Powerful” and Marry is an “Analyst” (see the free download of the Human Social Style Questionnaire to find out what you are—CLICK HERE). I just wanted to get to book written and out there. Marry wanted to make sure every person in every case was covered. Thanks to our mutual understanding of human personalities (covered in the book), we were able to get it done without killing each other! TSB: Eunice, you are responsible for the “human side” of the book—can you tell us a little about your experiences analyzing human personality in your career in sales and business? ER: For many years I taught sales teams how to “read” their potential customer, align their own personality to their customer’s, and then initiate the sale. Understanding the whole human makes the sales cycle more successful. I taught people about learning styles so they presented materials in a way that made sense to the client. We also took into account color combinations when building presentations. A lot of people don’t think about colors, but not only do different colors incite different feelings, men and women are naturally drawn to different colors [TSB editor’s note: You can learn more about using color theory in your work with your horse in the forthcoming book from Linda Tellington-Jones, DRESSAGE WITH MIND, BODY & SOUL]. I also conducted team-building courses and taught many leadership courses. All these things required a complete understanding of how the human personality worked. 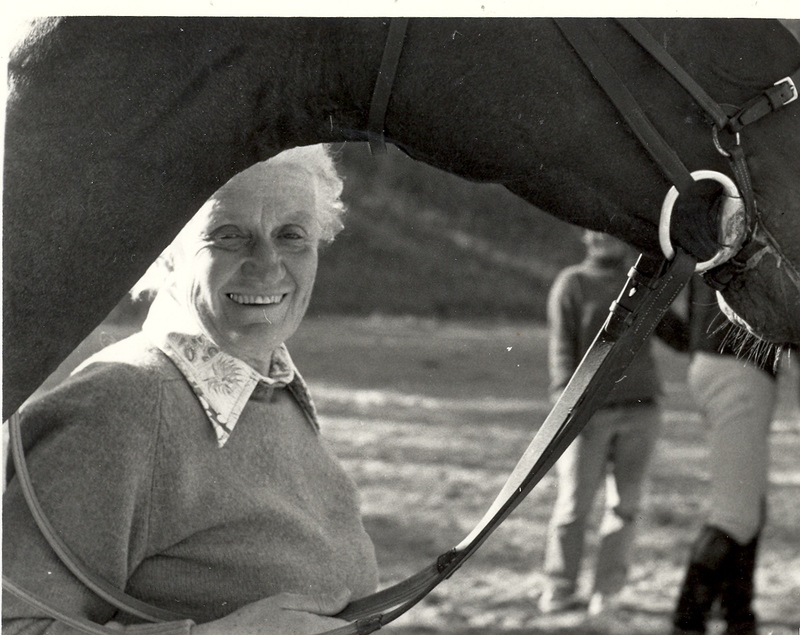 TSB author Eunice Rush and her horses. TSB: Marry, you are responsible for the “horse side” of the book—can you tell us a little about your experiences analyzing horse personality in your work training horses and training people to train their own horses? 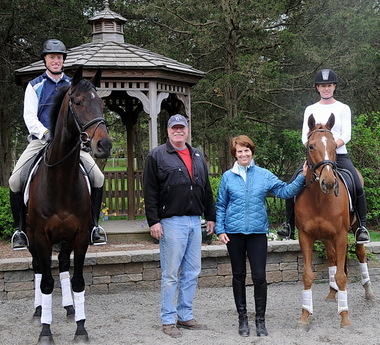 MM: In my clinics, the number-one priority for me is to keep people and their horses safe. In order to do this, I feel I have to be able to understand quickly the personality of each horse; then I can understand where to begin working with that horse. Once I understand the horse, then I need to understand the human so I can help him or her take home and use what I am teaching them at a clinic. The other passion I have is working with problem or rescue horses. Ray Hunt used to say, “Take the time it takes,” and I think most people understand that this means you should take off your watch and not train on a timeframe, which is correct, but I think there is more to it. “Take the time,” to me, means find out how the horse learns, how he understands what you are asking of him. Get to know his personality before you begin. TSB: If you could be sure that readers take away one lesson from KNOW YOU, KNOW YOUR HORSE, what would you hope it would be? ER: I know you only want one but I am going to give you two because I feel strongly about each. Lesson 1: We want to make sure that when there is a match between personalities, both human AND horse are happier. Lesson 2: You can’t use a cookie cutter training method for every horse. Just as an example: It was such an eye-opener to me that not every horse has to stop and put his nose on something to get over being afraid of it. Every trainer I have ever studied says if your horse is afraid of something, work with him to stop and approach until he can put his nose on it. Because just about every horse I have ever owned has been an Extrovert, this has led to a lot of failed moments of training for me and frustration for my horses. 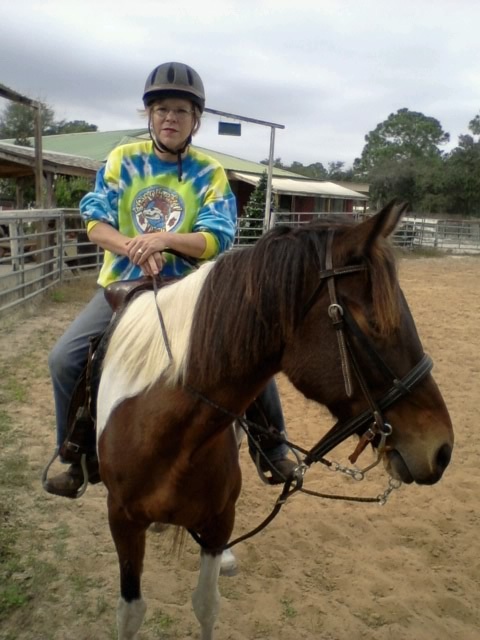 I thank Marry for teaching me about the extroverted horse and how he learns best. 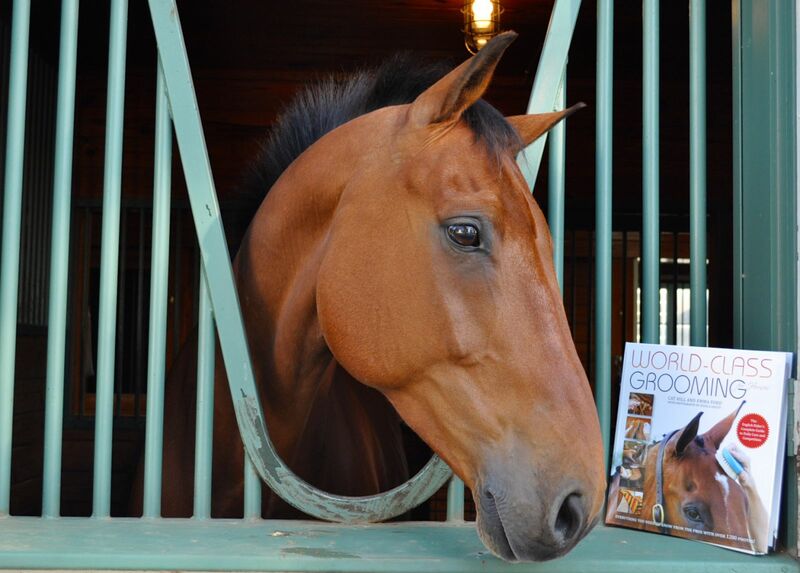 MM: I want readers to firmly grasp that horses have a personality, just like humans. 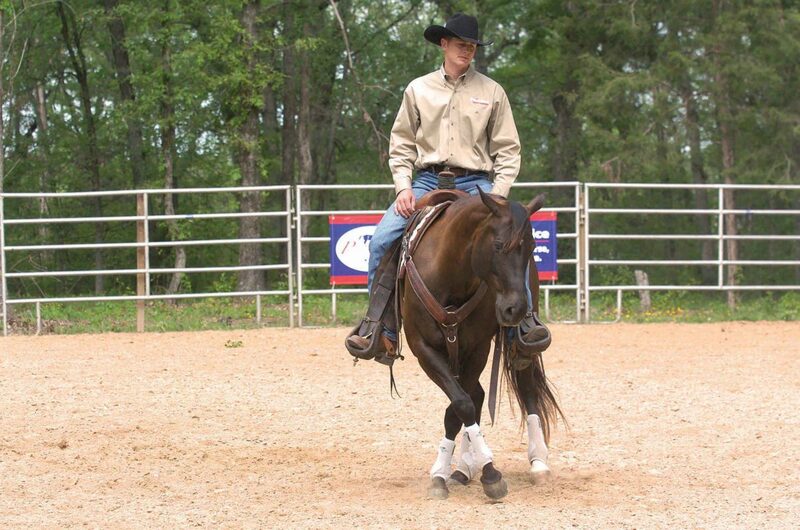 If you don’t have a personality that matches your horse’s, then can you learn to adapt. Or, if you can’t, then it’s okay to say, “We don’t match up,” and give both yourself and the horse a chance to find your perfect match. ER: I was probably about three. My parents had friends who had a daughter who had ponies. One day when they were visiting, my parents let me ride one of the ponies. ER: Well, it wasn’t the first time I left my horse but the first time I was bucked off, and that is different than falling off. I was about 15 and I went to see the movie Miracle of the White Stallions. In that movie the young girls that were training to ride had to be able to balance well enough to jump a horse with their arms out to their sides. I was so impressed I went right home and set up a jump, got on my horse and gave it a try. All I remember about the jump was seeing four horse feet fly over my body as I was flat on my back next to the jump bar. And by the way, that horse was 17 hands tall! I never tried that again. I guess the girls in the movie must have done a little pre-work before trying the jump! MM: Again, I’m not sure if it was the first time, but the most memorable time was my first jumping lesson. I was 11 or 12 years old. We were in an arena with a jump set up in the middle. I was on a larger pony, and I headed down the middle of the arena, flew over the jump, then couldn’t stop him as we approached the far end of the arena. The pony tried to jump out of the arena and got halfway over and was stuck. I,on the other hand, made it over the arena wall just fine. It took a couple large men to get the pony off the wall and back in the arena. ER: A friend should be a friend no matter what. She or he should stand by you in good times and in bad. MM: I like friends who are passionate about what they do. ER: I want a horse that enjoys going long distances and exploring as much as I do, and preferably with a nice ground-covering walk or gait. ER: Boy that’s hard because I have done just about everything I have wanted to do with horses. However, while it is still trail riding, the one thing I have always said I wanted to do is go to California and ride among the giant Sequoia trees. That has to be so amazingly humbling. 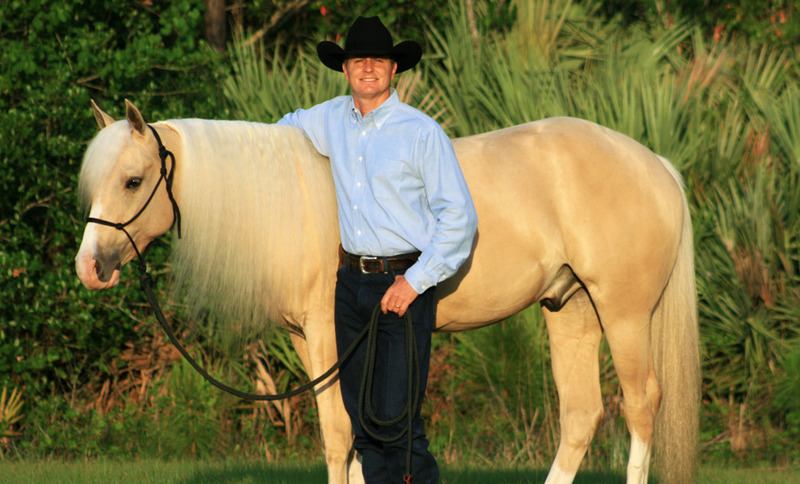 MM: I’d like to have Stacy Westfall’s bitless and bridleless championship ride. 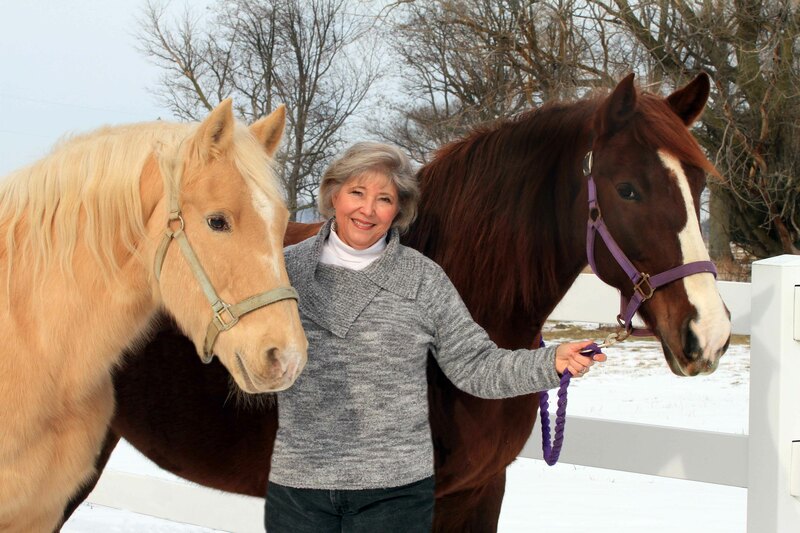 TSB author Marry Morrow and her horses. ER: For survival, the right answer would probably be an Arab for a desert island but I have to go with a gaited one that matched my personality so I would have my best buddy horse with me. As for the book, the Bible. MM: The breed of horse would be a Lusitano. The book would be a really big survival guide. ER: Banamine and penicillin for the horses…chocolate for me. MM: Apples, carrots , lemons, and water. ER: Just me and my best bud horse on a perfect day on a beautiful trail just enjoying all of God’s glory. I rode half way across the state of Michigan on my horse Bo right after I retired. It was a 125 mile trip and I loved it. MM: A good horse, a nice barn, lots of pasture, and a good man who agrees with that. ER: What I want to eat or what I should eat? What I want is pizza and something chocolate with a big Diet Coke (obviously, this falls on the what-I-shouldn’t-eat side). MM: I love stirfry with lots of vegetables. ER: If you had ask what “would be” perfect, it would be a horse trip with my husband, son, and daughter-in-law. However, no one in my family but me rides, so I actually have two. The first and most important would be any vacation with my family. Since none of them are horse people, I would prefer to do some canoeing or almost anything outdoors, as long as it is warm. My second would be a long vacation camping and riding across several states with good friends and good horses. Last year I did that with my standard riding group. We rode in six states over several weeks. We all rode to the top of Mt. Rushmore. Fun times! It is so much fun to meet new people at various campgrounds and add them to your riding group. MM: Anyplace with warm (not hot) temperatures, water, and horses. MM: It’s a tossup: Tom Dorrance or Marguerite Henry. ER: All things are possible through God who strengthens me. MM: “Open your hands and it will open your heart.” This is what I tell all my clients, because when you are tight on the reins, you have no feel, the horse is tense. Open your hands so you are light on the reins and your horse will respond with love. For FREE DOWNLOADS of the human and horse personality quizzes, as well as an excerpt from the new book KNOW YOU, KNOW YOUR HORSE, CLICK HERE. – Better understand the horse we may own or ride now. – Find and/or buy the right horse for who we are, how we ride, and what we want to do. 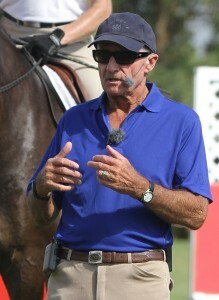 – Customize our training techniques to best match our equine partner. In the exciting new book KNOW YOU, KNOW YOUR HORSE (available now from the TSB online bookstore), Eunice and Marry walk us through the four core human personality “Social Styles,” the four core horse personality types, how we can then either “align” ourselves to our horse or find the “best match” for a long-term relationship, and how our horse’s personality should dictate the kinds of training methods we use. 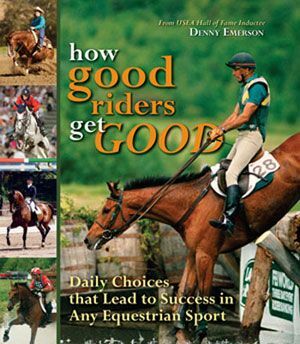 With dozens of quizzes and charts to help us practically apply the book’s lessons, we’re prepared to look at how and why we choose the horses we do in a whole new way. Whether we are most interested in long, quiet trail rides or competing at the highest level of our favorite horse sport, the fact is, by matching our personality to a horse’s we are more likely to meet our riding goals and enable the horse to perform his best—oh yeah, and have a lot more fun along the way! Check it out for yourself! 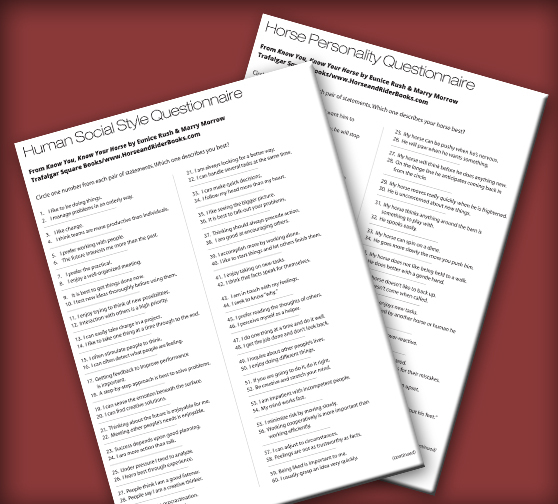 Take the human and horse personality questionnaires, available as FREE DOWNLOADS by CLICKING HERE. CLICK HERE to download the FREE human and horse personality questionnaires from the book KNOW YOU, KNOW YOUR HORSE. You might be surprised by what you discover about yourself…and about your horse! KNOW YOU, KNOW YOUR HORSE is available now–CLICK HERE TO ORDER.